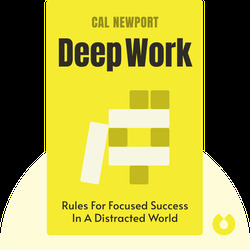 Deep Work (2016) is all about how the rise of technology has wrecked our ability to concentrate deeply on tasks – and how to overcome this blockade. 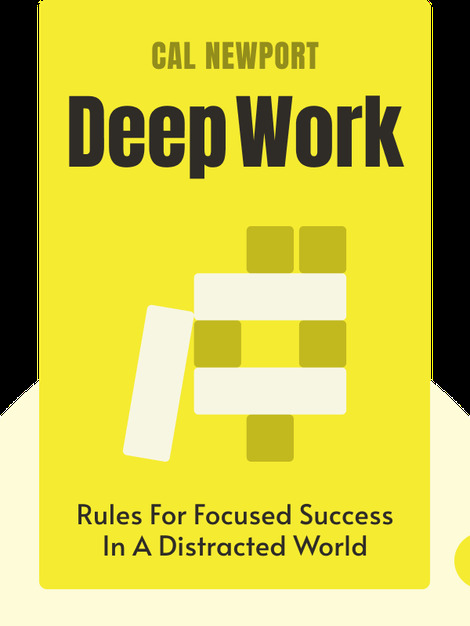 These blinks illustrate different strategies that can help you improve the output of your work and get the most out of your free time. Cal Newport is an assistant professor of computer science at Georgetown University specializing in the theory of distributed algorithms. Several publications, including Inc. Magazine, The Globe and Mail and 800-CEO-Read, have featured his most recent book, So Good They Can’t Ignore You, on their lists for the best business book of the year.